The Certified Public Manager® Program, now known as The Centre’s Leadership Academy, is designed to prepare California’s public leaders to lead organizations in complex, highly-charged political environments. In addition, the program provides public agencies with the means to meet their succession planning goals through the professional development of their managers. The program is comprised of four 2-day modules over the course of eight months. A unique element of the program is the requirement for participants to complete a major work-related project under the guidance of a sponsor from their home organization. 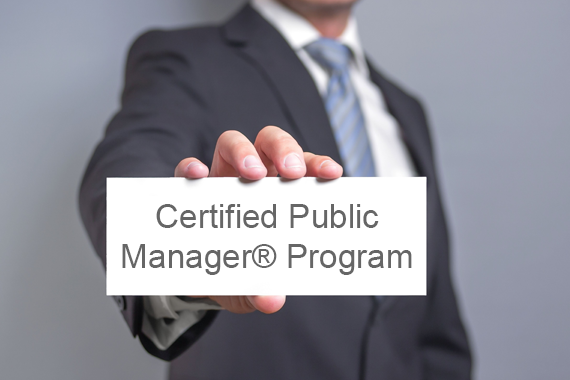 Participants who complete the program will receive a credential recognized by the National Certified Public Manager® Consortium.